This activity is a print out tour of North East Roanoke. 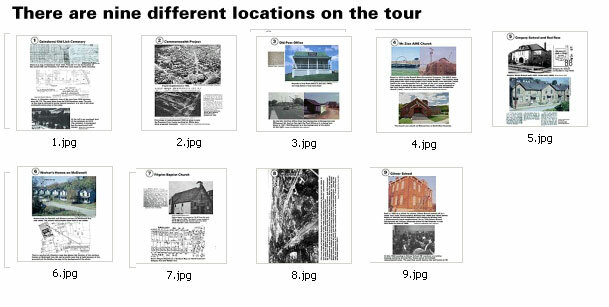 Print out all the documents in the Zip file below and go on a walking tour of a neighborhood that no longer exists. In the download you will find two maps: One of North East Roanoke today titled 10.jpg and the other a map of how the neighbornhood once looked titled mapcover.jpg. Use these maps to guide you through the neighborhood. Images 1.jpg-9.jpg are images of buildings that once existed in North East. 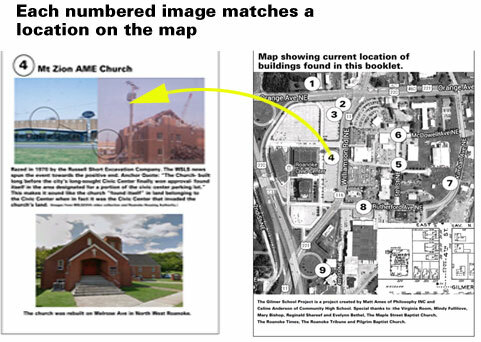 These images match up to numbered locations on the maps.